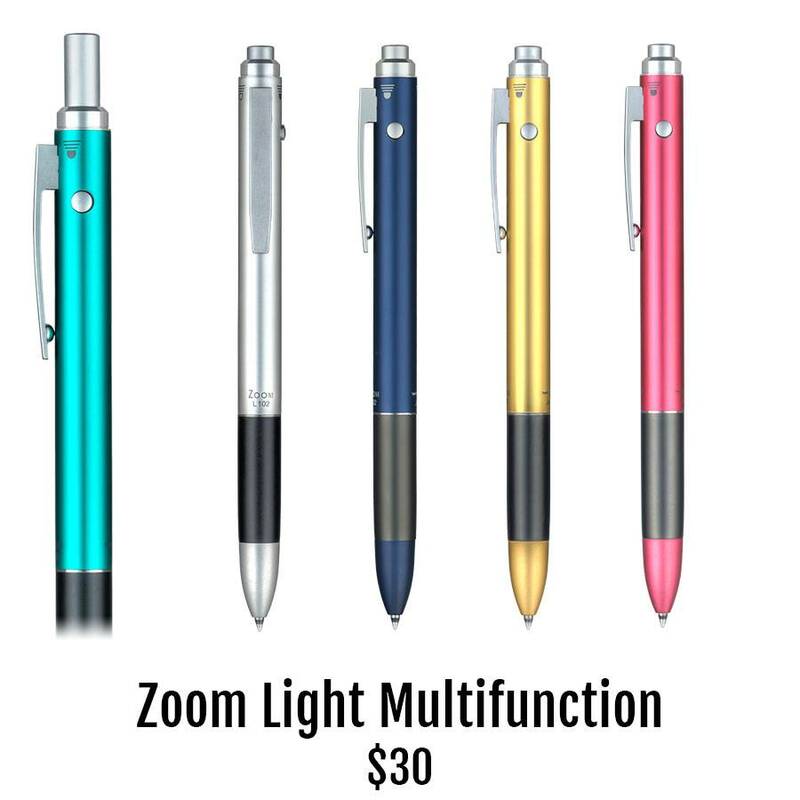 The Tombow Zoom Light multi-function pen comes in almost as many colors on the outside as the refill colors for the inside. First choose from silver, bronze, navy, peacock or pink for the exterior. Then look at ten different refill colors for the two ballpoints inside. Oh, and there's a .5mm pencil point in there too. Rotate the pen until you see your choice , then push the button to extend the tip. It's a quick and easy switch.